YEREVAN, JULY 14, ARMENPRESS. 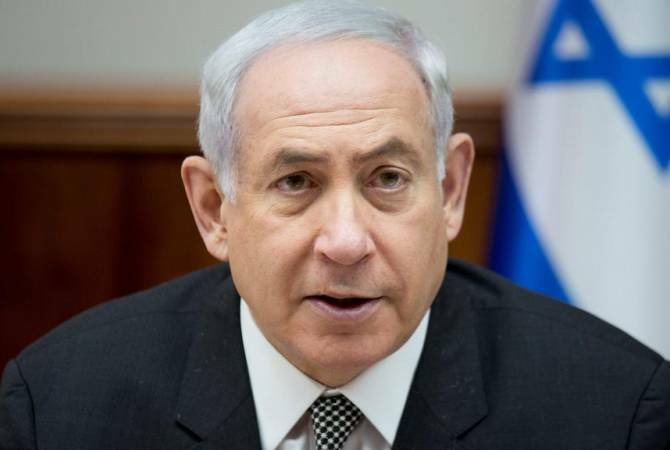 Prime Minister of Israel Benjamin Netanyahu responded to the letter of Armenian Patriarch of Jerusalem His Beatitude Archbishop Nourhan Manougian, Hovnan Baghdasaryan – Chancellor of the Armenian Patriarchate of Jerusalem, said on Facebook, reports Armenpress. The letter sent to the Israeli PM was signed on June 18 by the Armenian and Greek Patriarchs of Jerusalem and the Custos of the Holy Land. “In the letter the spiritual leaders expressed their concern over the draft being circulated in the Knesset regarding the church properties which soon will be submitted for the discussion of the Council of Ministers. In the letter they express their disappointment over the fact that the draft continues to be discussed at the Knesset despite the assurance by the PM in February according to which the draft discussion will be frozen”, Hovnan Baghdasaryan said. 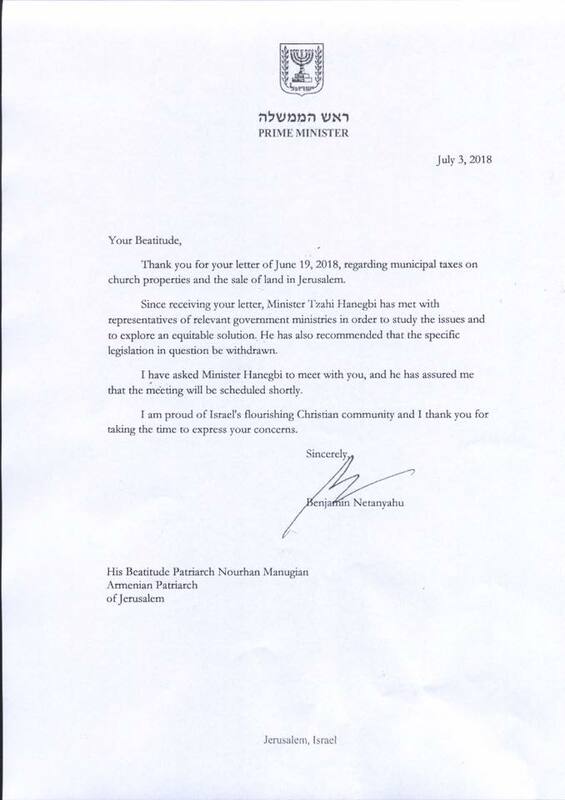 In his response letter, Prime Minister Benjamin Netanyahu assures the Armenian Patriarch of Jerusalem that he tasked to drop out the draft from discussion and instructed minister Tzachi Hanegbi to meet with the Patriarch to find a solution to the issue.